NORTH O BOOK REVIEW: “A Thousand Honey Creeks Later: A Life in Music from Basie to Motown” by Preston Love, Sr. This is a book review of the autobiography of North Omaha’s Preston Love. Posted byAdam Fletcher Sasse May 8, 2017 May 8, 2017 Posted in20th century, 24th and Lake, African Americans, Book review, historic preservation, music, society, storytellingLeave a comment on NORTH O BOOK REVIEW: “A Thousand Honey Creeks Later: A Life in Music from Basie to Motown” by Preston Love, Sr.
Malcolm X Memorial Park sits in the heart of North Omaha’s Kountze Place. Discover why you don’t hear about it anymore. 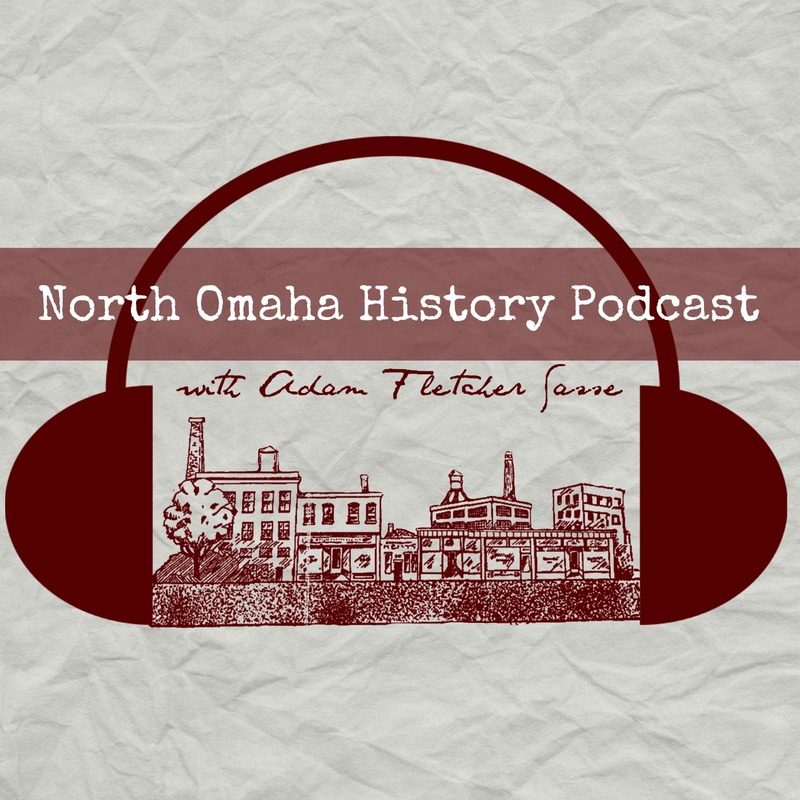 Free North Omaha history presentations by Adam Fletcher Sasse! Dynamic Past, Hope-filled Future: North Omaha History, Volume Three Now On Sale! Posted byAdam Fletcher Sasse November 30, 2016 June 3, 2017 Posted inAfrican Americans, Americans, biography, Books, crime, Historic houses, historic preservation, history, History of Nebraska, North Omaha, Omaha, Politics, press release, self-published, storytelling, streetsLeave a comment on Dynamic Past, Hope-filled Future: North Omaha History, Volume Three Now On Sale! Omaha has always been a good place to die. Starting in the 1840s when the first trails were cut through the area, people were laid to rest all across the city. With cemeteries scattered across North Omaha, it made sense for a stonecutter to make his work in the community. Starting in 1905, the Improved Benevolent and Protective Order of Elks of the World, also called the black Elks, met in North Omaha. They were determined to help foster positive social connections, build community and foster growth within Omaha’s African American community. Almost 100 years later, it keeps going. North Omaha is screaming full of history, and the new 24th and Lake Historic District is a tremendous example of how that’s so. After its first developments in the 1870s, this intersection evolved to become a hotbed of the African American community; as well as the heart of the Jewish community; a farm supply area; and much, much more. In 2016, 38 buildings were included in a new listing on the National Register of Historic Places. This article is an introduction to the powerful, poignant past of a large jewel in North Omaha’s historical crown. “Proud, powerful and transforming.” Asked to think of words to describe the Minne Lusa neighborhood, these came to my mind immediately. I was sitting with a friend in Omaha recently, talking about the changes in North O, and they asked me what I thought of it. I easily remembered summers riding bikes up and down Minne Lusa Boulevard, going to the Viking Ship regularly, eating ice cream and buying cassette tapes at Four Aces Pawn Shop. Even as a kid, I thought the neighborhood was special, with its giant houses on the boulevard and polite houses up and down the blocks, all with an overall feeling of respectful suburbanity. The following is a short history of the neighborhood that I write out of admiration for Minne Lusa’s beauty, my memories, and the people who fill the homes today. The Long School neighborhood is located in North Omaha from Hamilton Street on the south to Erskine on the North; North 24th on the east and the North Freeway on the west, and it has a total of 30 blocks. Houses started getting built in the neighborhood as early as the 1860s. However, it wasn’t until Long School was built that things really got underway. This is a history of the neighborhood. Judges, teachers, decorated veterans, actors and singers, an Olympian and a Heisman Trophy winner are among its alumni. This is a short history of Omaha Technical High School. Now seen as the front door to Omaha, Cuming Street has also served as the city’s farthest edge; as the growing, mighty muscles of industry and business; and as its dirty, neglected backside. This article highlights the history of Cuming Street, from its beginnings through to present day. Located at 809 Carter Lake Drive North, Municipal Beach was a success, and for decades on every good swimming day all summer long a thousand people swamped Omaha’s Municipal Beach to enjoy sun, fun and good times. It was located there from 1919 through to the 1950s, enjoying massive popularity, an influx of money from the US federal government, and a place in many older peoples’ memories still today. More than 65 years ago, a newspaper was launched to serve Omaha’s African American community. Coming from a legacy of several Black newspapers before it, the paper was launched by the visionary Mildred Brown and her husband Ed Gilbert. Losing its direct competitors within a decade, The Omaha Star became the city’s Civil Rights media champion, refusing to print negative news and constantly focusing on keeping it positive. The original banner was “Joy and Happiness”, and the only told good news. These are historic neighborhoods in North Omaha, including their establishment, locations and links. The N. 16th and Locust Street intersection was a beehive of commercial activity for more than a century. The Locust overpass of the MoPac Railroad was a key. Learn more. In its first 75 years, North Omaha was home to no fewer than four Jewish synagogues, six Catholic parishes and 50 Protestant congregations. These churches reflected the community’s diversity, including ethnic churches where only Italian, German, Norwegian, Danish and other languages were spoke. Within 25 years of Omaha’s founding, there were also several Black churches in the neighborhood north of downtown. Following is a history of churches in North Omaha. The Walnut Hill neighborhood is one of the most historically distinguished in North Omaha. The most famous mansion built in North Omaha is probably the Mayne Mansion, also known as the Redick Mansion. Clifton E. Mayne was a pioneer real estate investor and salesman in the city. In the 1870s, a farmer built a little house along Saunders Street leading north out of Omaha. He sold ten acres and his little farmhouse to Mayne in 1885.